Computation of wind components (head- or tail- / crosswind left/right) in knots for wind-direction and -speed on a given runway. 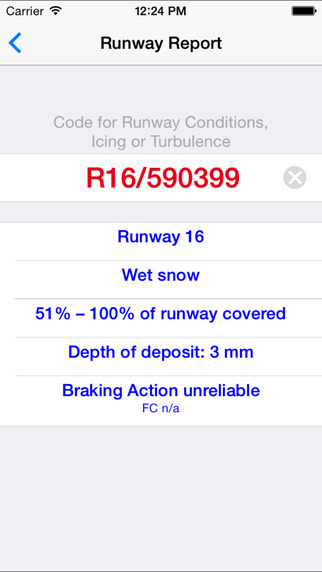 Decoding of runway report (8-digit-code) found in METAR aeronautical weather reports for adverse runway conditions. 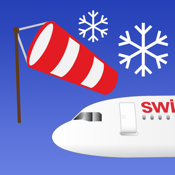 NEW: Decoding of Turbulence and Icing-Codes. 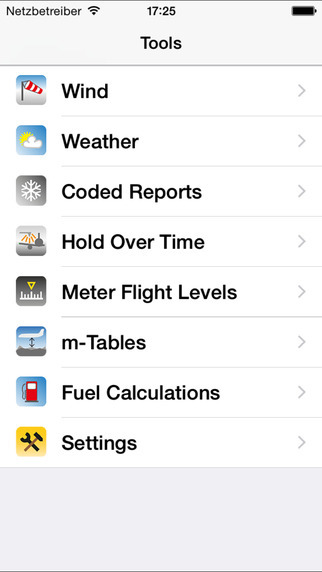 Get TAF- and METAR-Data directly from National Weather Service (NWS). Select airport from list of more than 6000 airports. Shows hold over time-guidelines for commonly used de-icing fluid types (I-IV) according to selected weather conditions. Shows flight level conversion table: Meters (STD) to Feet (STD) for China. Build your own height-conversion-table from meters (QFE) to feet (QNH). Calculate fuel uplift-, fueling- or fuel check-data and convert different units. Please note: All data is for information only and not for operational use.